Questions like "Can you burn Blu-ray movies", "How to burn Blu-ray movies", "How to burn Blu-ray discs" and "Can I burn Blu-ray disc" are quite common among various Blu-ray movie fans. Different from burning DVD discs, it requires you to do more if you want to burn Blu-ray disc, especially Blu-ray video disc for playback on various Blu-ray players and TVs. However, once you’ve successfully burned Blu-ray disc, you would fint it realy easy to do this. 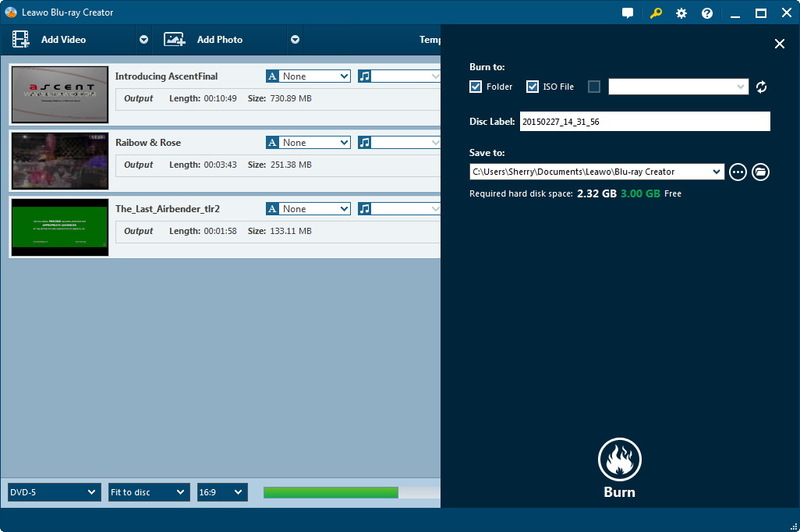 This tutorial would show you how to burn Blu-ray movies with 2 different Blu-ray burner software programs: a free Blu-ray burner software app – ImgBurn, and a paid Blu-ray burning program – Leawo Blu-ray Creator. 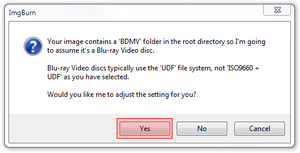 You could follow the below steps to learn how to burn Blu-ray discs on Windows with every detailed information. 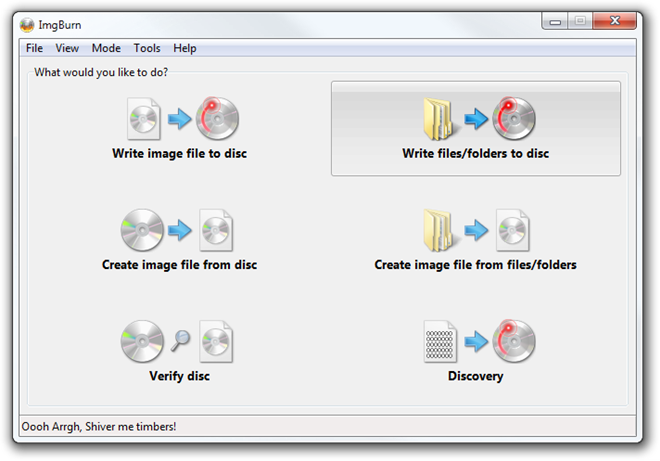 ImgBurn is free a DVD and Blu-ray recording application from the creator of DVD Decrypter. It could burn images to disc, write files/folder to disc, create image file from disc, create image file from files/folders, and verify discs to see if target disc is 100% readable. With the ability to burn a Blu-ray video disc, ImgBurn could help you easily burn video to Blu-ray video disc on Windows (from Windows 95 to Windows 8, including all the 64-bit versions). 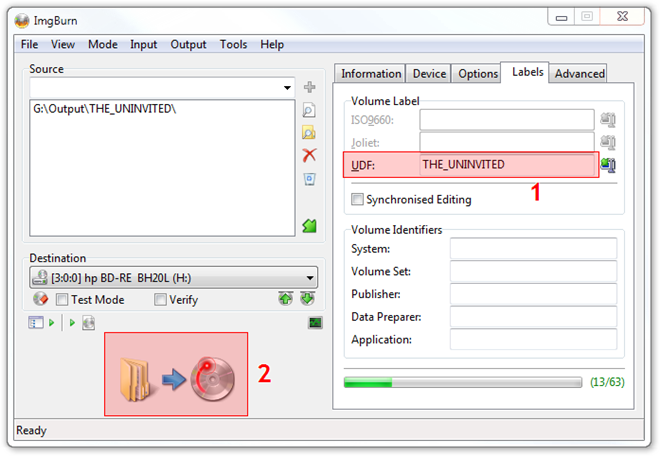 The below steps will guide you through the process of burning Blu-ray disc with ImgBurn program. 1. After you launch ImgBurn, click the "Write Files/Folders to Disc" option. 2. 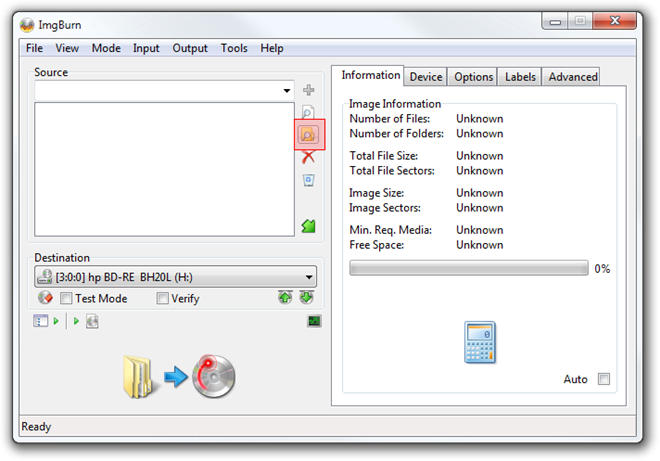 Click the add folder icon as shown above and add the root folder that contains all the other Blu-ray folders (BDMV, CERTIFICATE, DCOPY) that a standard disc has. 3. After you add the right folder it will appear in the Source area. To continue click the Calculator icon. 4. ImgBurn will then detect that you are trying to burn a Blu-ray video disc and give you that notice. If not, make sure you added the correct folder at Step 2. Click Yes. 5. Back in the main ImgBurn window, select the Device tab. 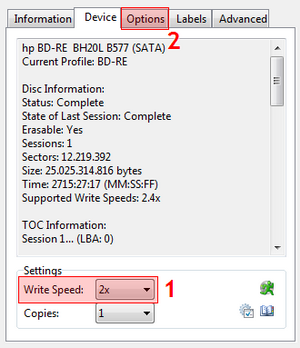 Here set the Write speed (1) at the one your blank Blu-ray states that it supports. The default option *might* try to burn faster and since I wasted one empty disc already, I am not taking any chances. To continue, click the Options (2) tab. 6. 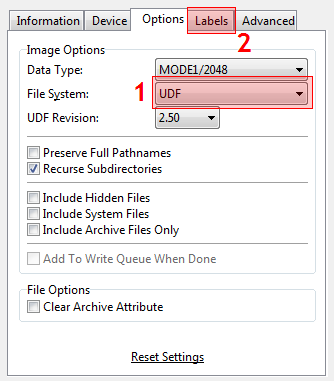 Here make sure the File System is set to UDF (1). This should already be set by ImgBurn at Step 4, we are just double checking. Next, click the Labels (2) tab. 7. 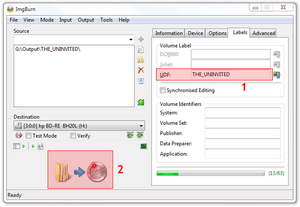 In this tab you can set the Volume Label (1) your disc will have. This only has a minor practical use but is a good idea to describe in a couple of words the content of the disc. Everything should now be ready to start burning, so click the Burn (2) button. 8. 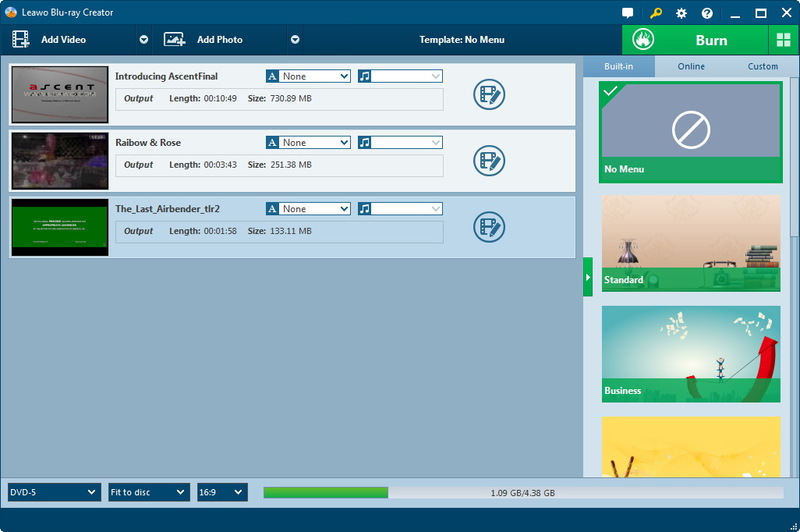 Right before you start the burning process, check the pop-up and make sure that in Content Type, ImgBurn reports BD Video and then click OK to start burning Blu-ray with ImgBurn. 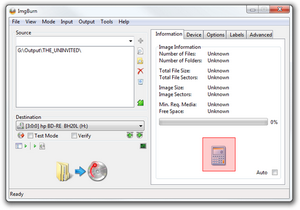 Note: ImgBurn could also help you burn image file to Blu-ray disc. 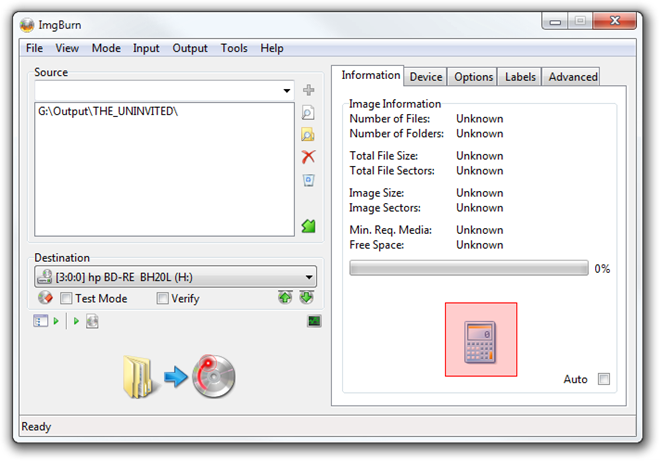 You could freely burn image files like BIN, CCD, CDI, CUE, DI, DVD, GI, IMG, ISO, MDS, NRG and PDI. 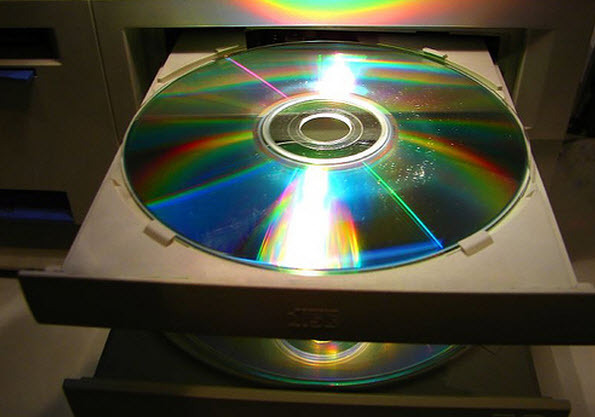 It would be frustrating if you’ve never done any optical disc burning before. But with Leawo Video to Blu-ray Converter, all things could be much easier. 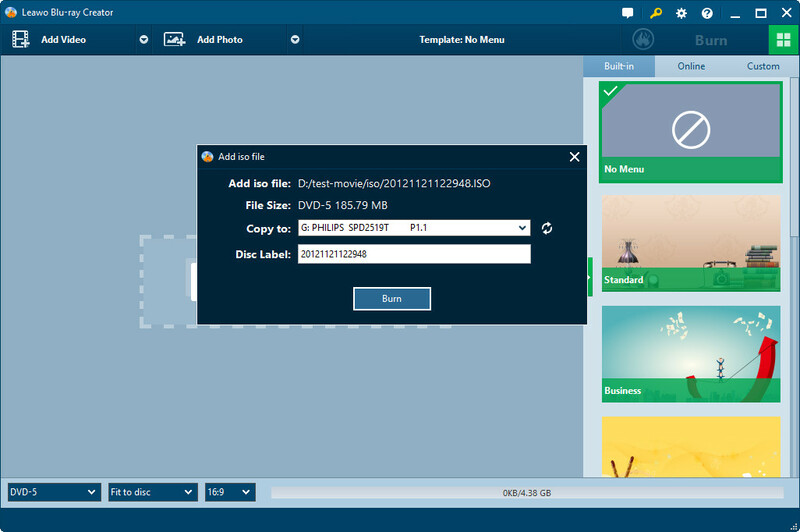 Leawo Video to Blu-ray Converter is an ideal and professional PC based Blu-ray burning software tool that could easily burn Blu-ray discs on your PC in high quality. It could help you directly burn videos in various formats like AVI, FLV, MKV, MP4, MOV, WAV, etc. 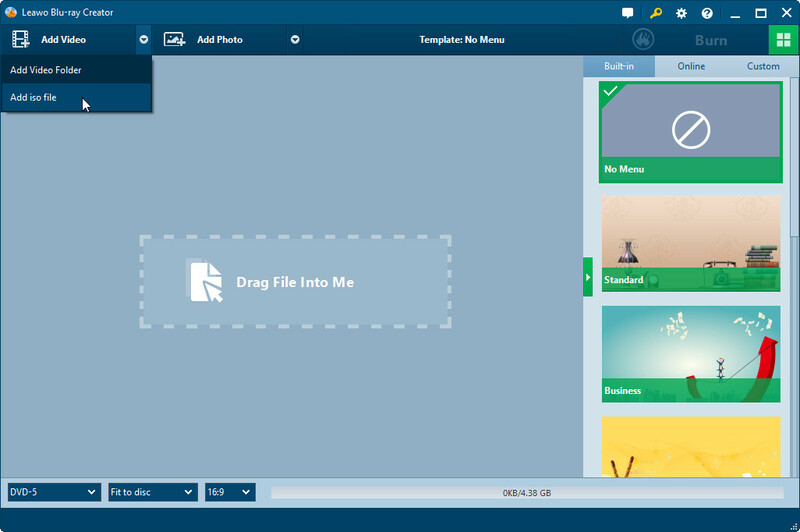 to Blu-ray discs, folders or ISO image files at your own will. This video to Blu-ray disc burning guide shows you details on how to burn videos to Blu-ray discs on PC. 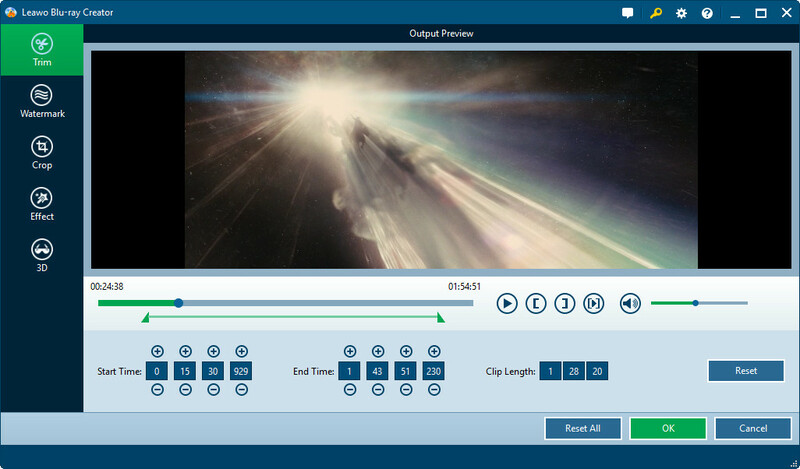 Blu-ray burning software: Download, install and kick off Leawo Blu-ray Creator on your computer. Connect Blu-ray recorder drive to your computer. Then insert a blank writable Blu-ray disc into Blu-ray recorder drive for converting video to Blu-ray disc. 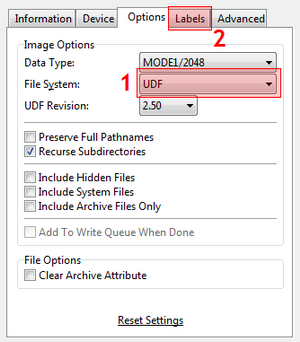 Get source video files ready for converting. Make sure source video files are protection free. 1. Drag source videos into this Blu-ray burner. Set disc type (according to the Blu-ray disc inserted to the drive), quality and aspect ratio at the bottom. 2. 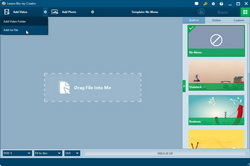 Right click loaded video and then choose "Edit" option to enter the video editing panel. Trim video length, crop video size, add watermark, adjust video effect, add 3D effect as you like. 4. 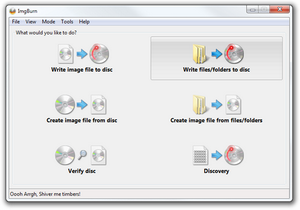 Click the big green "Burn" button to set "Burn to", "Disc Label" and "Save to" options. After these, click the bottom "Burn" button to burn Blu-ray video disc. 1. Insert target blank writable Blu-ray disc into the Blu-ray drive of your computer. 2. Click the inverted arrow icon next to the "Add Video" button and then choose "Add iso file" option to browse and add ISO image file for loading. 3. 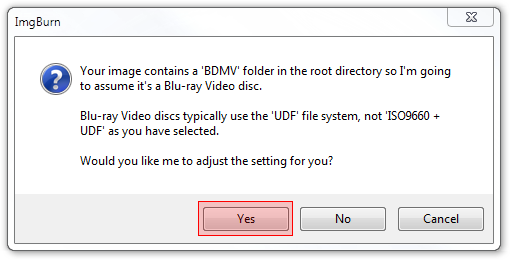 After loading, on the popup "Add iso file" window, select the Blu-ray drive you’ve inserted a writable Blu-ray disc into under the "Copy to" option, and set "Disc Label" option as you like. 4. 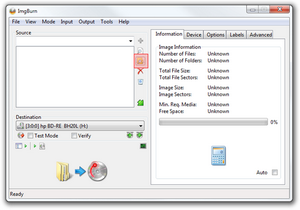 At last, click the bottom "Burn" button on the "Add iso file" window to start burning ISO file to Blu-ray disc.